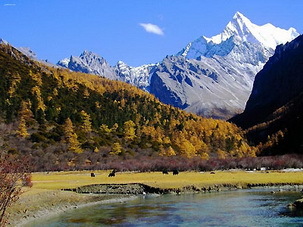 China offers a wide range of terrains, from long deserts in Xinjiang, high rise cliff tops in Sichuan and Tibet, lush native forests in Yunnan the East Tibet, open or narrow river valleys of the Yangtze, Mekong and Salween, alpine tussock grasslands in Amdo, high country farmland in Kham. Splendid China Tours offers a wide range of treks and hikes to different corners for these who want an intimate touch of the "real China". Features: Three Parallel Rivers is the watershed area of Asia. The trek takes you into the culture and natural wonders of southern Kham in the northwest of Yunnan, into the imposing rivers of Asia - the Salween, Mekong and the Yangtze. The area is of great diversity in culture, nature, and biology. This area is part of the ancient Tea and Horse Caravan Road. Hiking on the Three Parallel Rivers Area, one of world's most secluded and diverse destination is the right pick for any innate lover for outdoors. 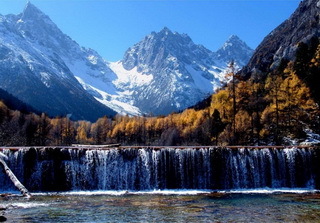 Features: The trek from Lugu Lake to Yading is regarded by many as one of the most beautiful trekking routes in China. The trek follows the footprints of Joseph Rock, an Austrian-American explorer, botanist, and anthropologist who traveled extensively in Yunnan and Sichuan in the first half of the 20th century. An entirely singular experience, this trek combines an awe-inspiring beauty with an ancient mystique in a wilderness experience like no other. During the trek you will pass through tranquil villages and meet people of various ethnic minorities such as the Mosuo, Mongolian, Yis and Tibetan. 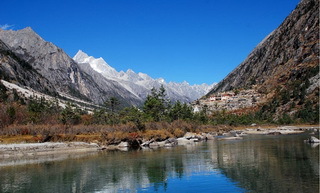 From deep cut valleys to high rangeland, you will get to Yading to admire the sacred lakes and three holy mountains of Tibetan Buddhism: Chenresig (Avalokitesvara, 6032m), Jambeyang (Manjusri, 5958m), and Chanadorje (Vajrapani, 5958m). Features: Mt. Kailash (6,638m/21,778 ft) is Asia's most sacred mountain and the source of four greatest rivers in Asia, the Indus River, the Sutlej River (a major tributary of the Indus River), the Brahmaputra, and the Karnali River (a tributary of the Ganges River). 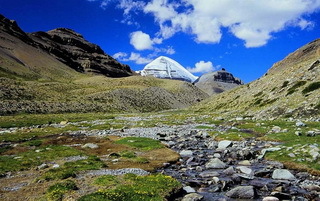 Mount Kailash is considered as the spiritual center of the universe and a Kora around Mt. Kailash on the famous pilgrim circuit with many Buddhist and Hindu pilgrims is undoubted a great inspirational journey. This trip also takes us to Lake Manasarovar, the divine lake for both Buddhists and Hindus. Features: The east face of Mt. 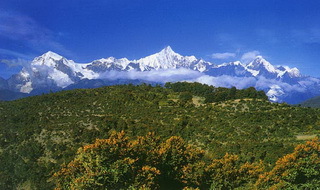 Everest - Kangshung is the least visited area around Everest. The journey starts from Kharta Valley, passing through pristine, untouched valleys and lovely lakes. Kangshung is regarded as one of the most beautiful place in the Tibetan Himalayas as it is set amidst close gorgeous mountains, including three of the earth's five highest peaks: Everest 8848 m, Lhotse 8501 m, and Makalu 8463 m. The Kharta and the Kama Valley are characterized by magnificent alpine scenery and rich flora green and lush than any other parts of the barren Tibet. 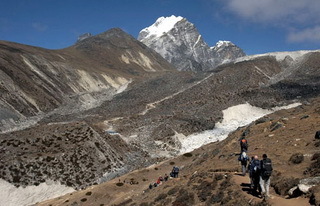 One of the most beautiful treks on earth! Features: Mount. 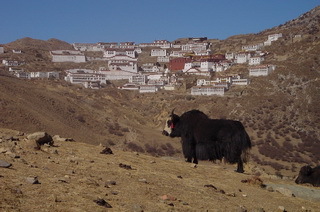 Amnye Machen has long been considered a sacred mountain and a place of pilgrimage for the Tibetans. This 14-day trek is a perfect combo of natural beauties and culture essentials along the way. 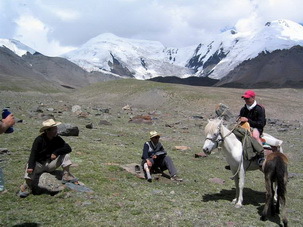 Trekking over high mountain passes, you'll have spectacular views of the mountain and glacier nearby. 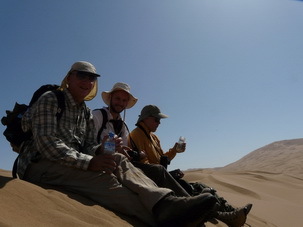 You will have a daily 6-8 hrs walking, stopping to see some of the auspicious and holy sights along the way. The trek will take you to old monasteries and meditation caves, past prayer flags and wild sheep to see rock formations and cliffs, all at altitudes in excess of 4,100m (13,450ft.). The big chapels and stupa at Kumbum Monastery and Labrang Monasery will impress you deeply. Features: This trip takes you to pass through areas of different ethnic groups of the Naxi, Yis and Muosuo people of Northwest Yunnan. 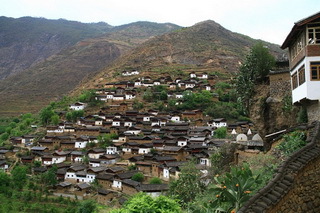 The trek starts at the rocky Baoshan Stone Village by the Golden Sand River (Jinshan River), and ends at high alpine lake Lugu Lake, and the focus is on the villages and peoples of the areas. The landscape is amazing and at night you will have genuine homestays. It is a fantastic experience of meeting different people and learning their unique cultures. 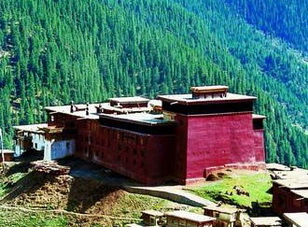 Features: The trek offers you a real taste of Tibetan highland adventure and an insight into Tibetan Buddhism. The hiking provides you a great variety of sceneries, from high snowy passes to lush alpine meadows and finally you get to the arid terrain near Samye Monastery. You will cross high passes and traverse monadic pastureland to observe Tibetan lifestyle too. 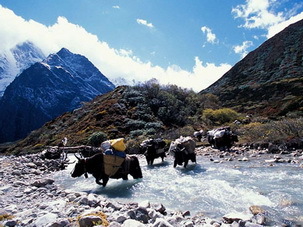 A classic trek in Tibet. 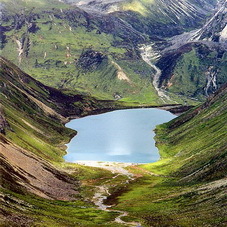 Features: Being the Oracle Lake of Tibet, Lhamo Latso is the most sacred lake in Tibet. Lhamo Latso is where senior Tibetan monks go for visions to assist in the discovery of the reincarnation of the Dalai Lama. Every Dalai Lama came here a least once in the lifetime to look for clues concerning his future. This trek will lead you on the road to look for the future of yourselves. Features: Rising between the Salween and the Mekong, in the extreme edge of Northwest Yunnan, Kawa Karpo (6740m), is one of the most sacred mountains for Tibetans. For many of such devotee Tibetans, a pilgrimage at Kawa Karpo is extremely important. This tour takes you to the inner pilgrimage circuit at Kawa Karpo, less strenuous in shorter time. 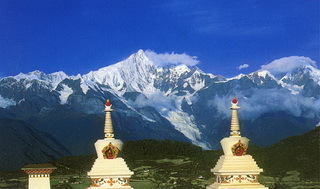 Features: Kawa Karpo (6740m), the highest mountain of Yunnan, is one of the most sacred mountains for Tibetans. 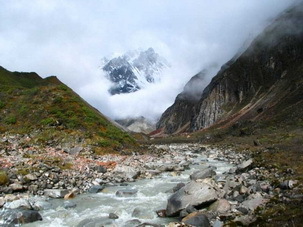 They revere Kawa Karpo as the eastern most abode of Shri Chakrasamvara, the foremost tutelary deity, also known as Khorlo Demchog in Tibetan language. For many of such devotee Tibetans, a pilgrimage at Kawa Karpo at least once in their lifetime means a lot to them. 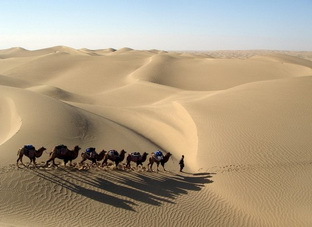 A trekking along the footprints of the pilgrims is perhaps the most exciting moment for any Tibet journey. Features: The Great Wall, winds for 8850 kilometers from the Yellow Sea to the Gobi Desert in the far-flung West, is a symbol of ancient Chinese history and one of the greatest man-made achievements of grandeur. The Great Wall of China is a Must-See and Do for anyone to China. 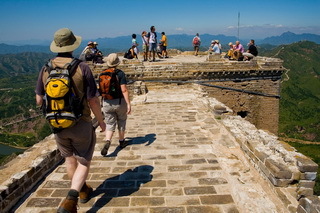 Far from the madding tourist crowds, our 12-day holiday gives you a unique opportunity of hiking on the real Great Wall from the Old Dragon's Head, the easternmost point of the Wall, westwards all the way to Beijing. A once in a lifetime experience ever!